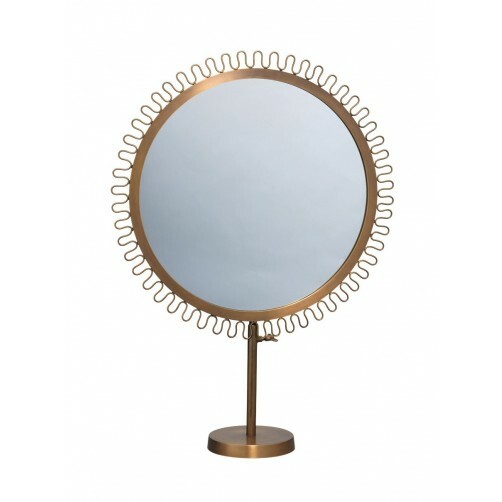 A gorgeous sunburst standing mirror in a warm brass finish. 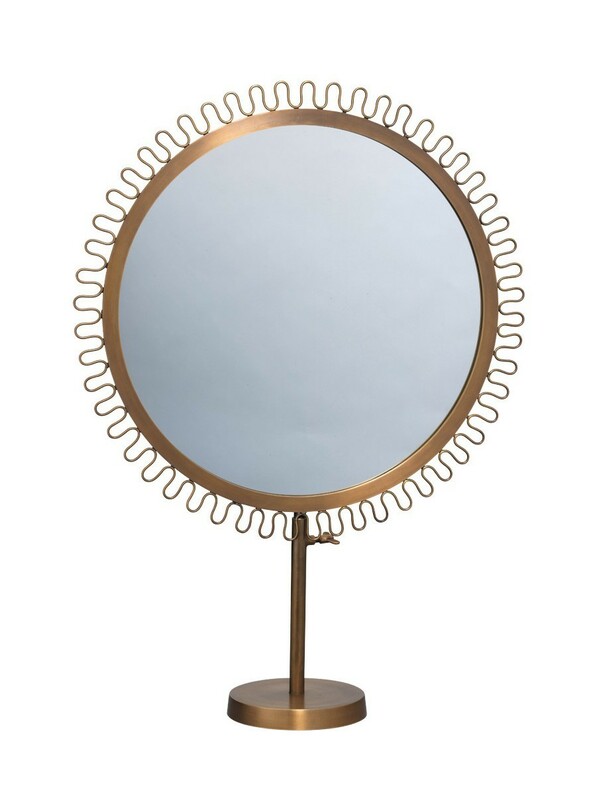 The standing feature makes it perfect for a bathroom or wash room. The height can be adjusted to suit your needs.